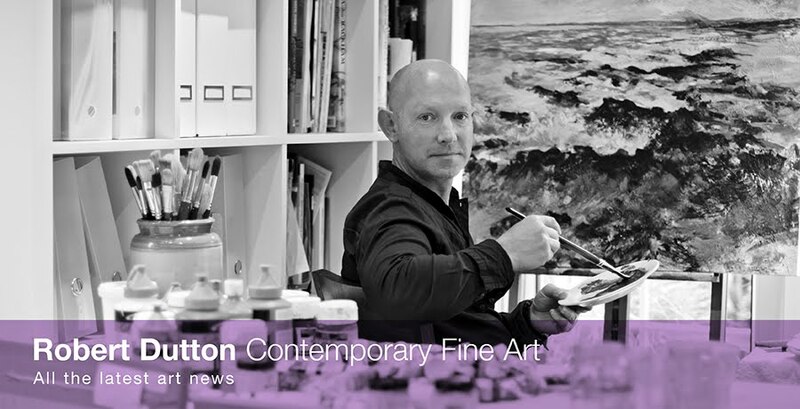 Wet, wild and windy weather - I just love it and it looks like Altrincham Society of Artists do as well! 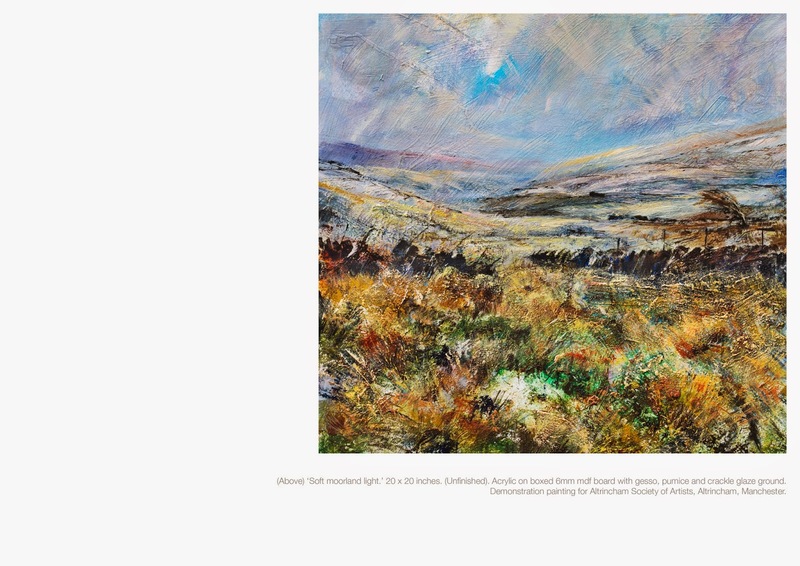 My acrylic moorland demonstration went down a storm on Saturday 13 December and it was an absolute joy to share my passion for painting the Pennines for a really enthusiastic membership for this proactive Society of Artists right in the heart of Manchester. Using lots of different techniques to apply acrylic paint with rag, cloth, brush, sponge and more over a gesso and pumice ground I had prepared before I came, the painting came to life over the 2hr demonstration depicting the subtle glow of filtered Winter light through a high Pennine moorland valley. The foreground textures and detail really made this painting on board really come alive so it was great to demonstrate techniques for creating and implying detail within the foreground moorland grasses for everyone so members of Altrincham Society of Artists could gain a great insight into the techniques we will be doing in two workshops next year for the club using acrylics. 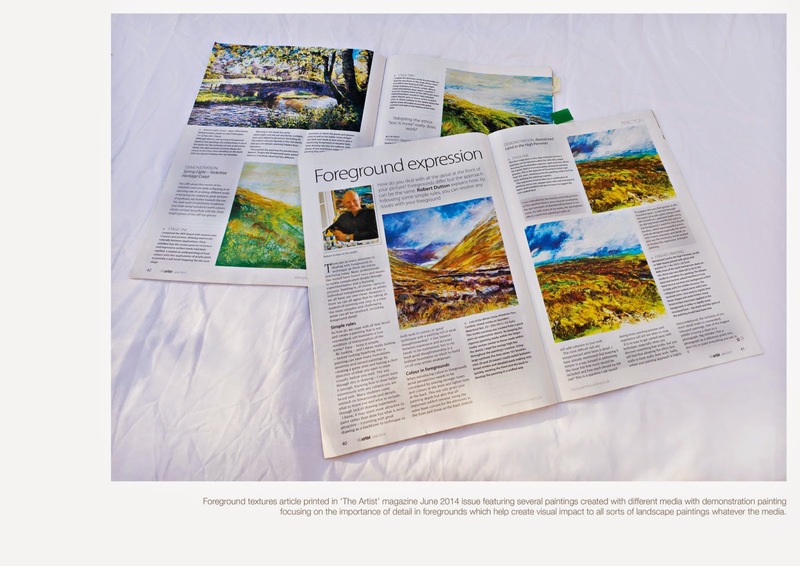 Earlier in the year 'The Artist' magazine published an article all about foreground textures and it was great to really bring this alive for Altrincham Society of Artists. 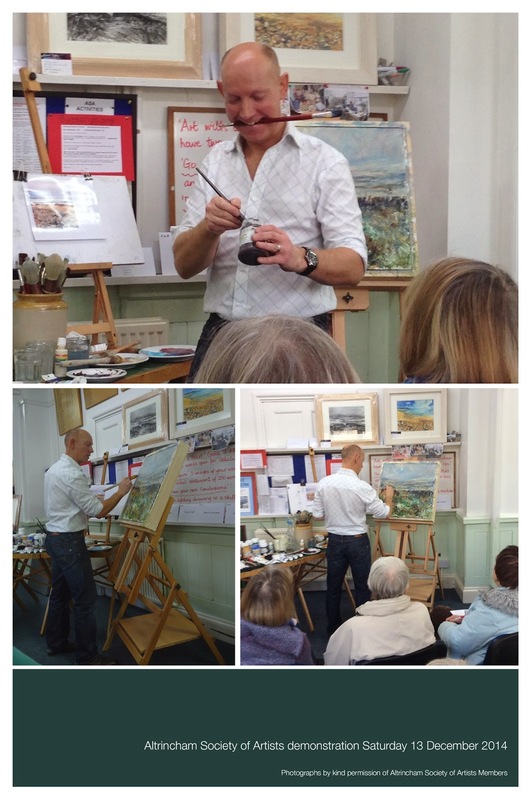 I'm really looking forward to returning to Altrincham Society of Artists in March and April next year to 'carry on the good work' and teach all in both full day workshops in Manchester just how rewarding painting expressively with acrylics can be. Don't forget your 'Oral 'B' brush everyone and old decorators brushes as well!